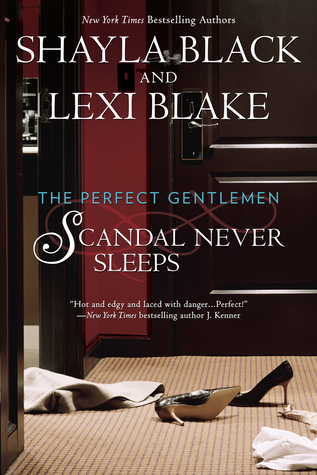 Excerpt: Scandal Never Sleeps by Shayla Black and Lexi Blake + Giveaway! Scandal Never Sleeps by Shayla Black and Lexi Blake is releasing on August 18th. Here’s an excerpt for you to read and a giveaway to enter! Posted by arrangement with Berkley Books, a member of Penguin Group (USA) LLC, A Penguin Random House Company. Copyright © Shelley Bradley, LLC and DLZ Entertainment LLC, 2015. Enter to win a signed copy on rafflecopter here! New York Times and USA Today bestselling author Lexi Blake began writing at a young age, concentrating on plays and journalism. It wasn’t until she started writing romance that she found success. Lexi lives in North Texas with her family. Visit her online here. This entry was posted in Book News, Excerpt, Giveaways and tagged Book news, Excerpt, Giveaways, Lexi Blake, shayla black.